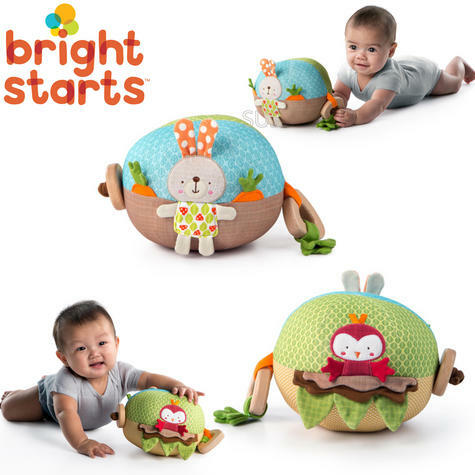 Roll & explore the precious Giggle Garden Ball™ from the Simply Bright Starts™ collection. 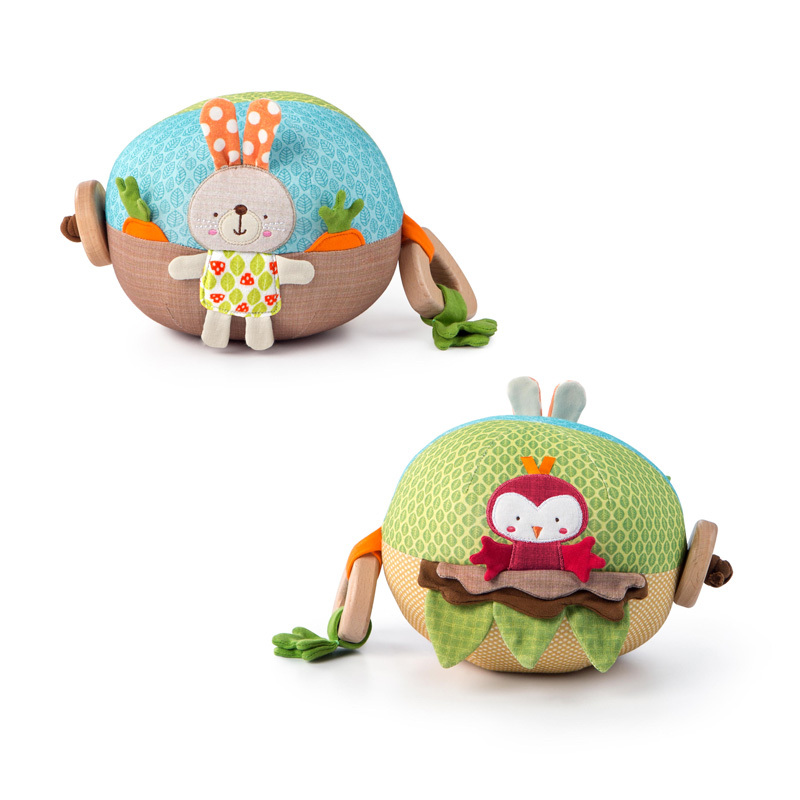 The soft and cuddly ball is adorned an adorable bunny and birdie, natural wood teethers, and a soft chime inside. The soft textures, natural materials and sweet chiming sounds of this plush ball will keep baby’s senses engaged. When baby rolls the darling 6” plush ball, the chime makes a sweet, soft chime sound. Encourage baby’s gross motor skills to follow after the fun. The natural wood teethers provide safe teething option for baby. Recommended for age 3 months and up.